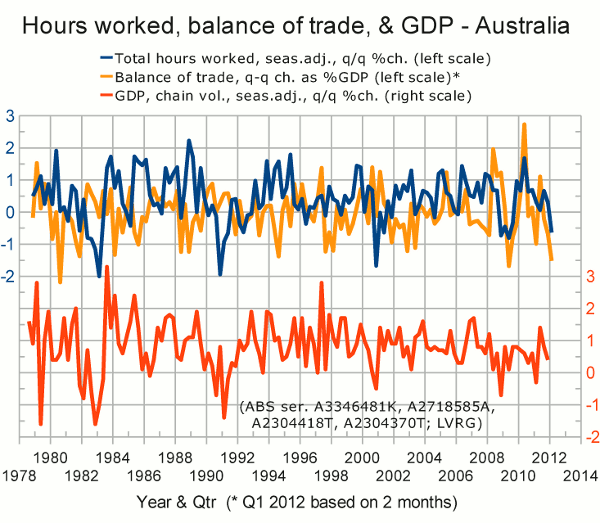 Land Values Research Group: Oz economy contracted in Q1? Q1 of 2012 was Q2 of 2009 without the stimulus, says Gavin R. Putland. Notice that the blue and yellow curves were both negative (indicating contraction) in Q1 of 2012. The only previous occasion when both indicators were as bad or worse was in Q2 of 2009, when growth in GDP was almost zero in spite of massive government stimulus. This time around, the only comparable “stimulus” was due to a shortfall in revenue. 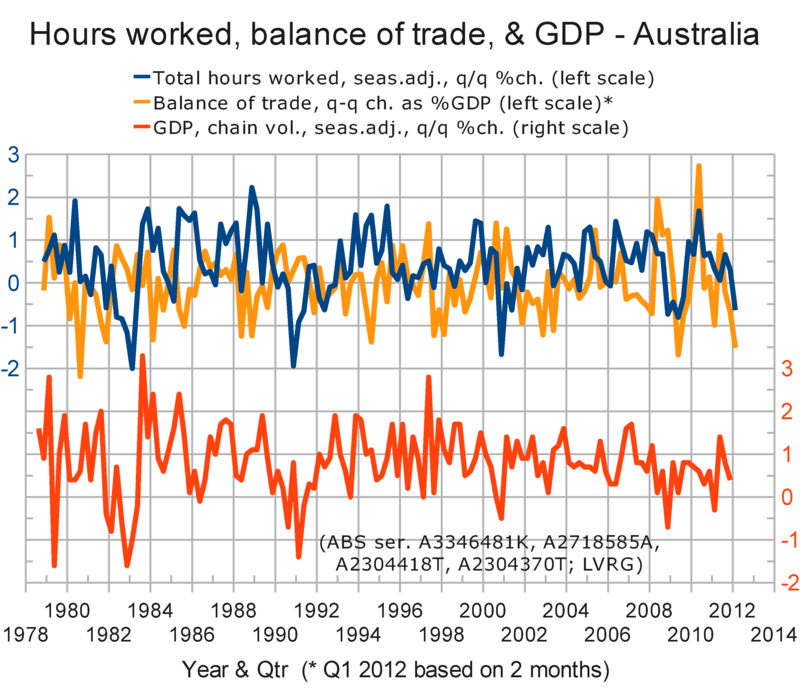 Also notice that previous negative spikes in the total hours worked (blue) are highly correlated with contractions in GDP. We've just had another spike. The balance of trade is less clearly correlated with GDP over the long term (presumably because of dilution by other contributors). Since Q3 of 2010, however, there has been an uncanny similarity between the trade curve and the GDP curve; and a continuation of that similarity into Q1 of 2012 would result in a contraction in GDP. † Update (May 8, 2012): When we use the actual figures for March, we find that the yellow curve ends at −1.7% instead of −1.5%.